How can we begin to make sense of the Great War now that over 100 years have passed since it ended with the defeat of Germany, Austria-Hungary, the Ottoman empire and Bulgaria, and the collapse of Tsarist Russia? The conflict had such a profound influence on world history that is it difficult to reconcile the different perspectives and draw clear conclusions. That is why this thought-provoking collection of original essays on the outcome of the war and its aftermath is of such value. 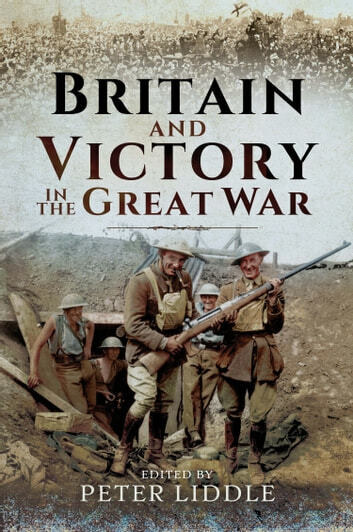 It completes the trilogy of ground-breaking volumes conceived and edited by Peter Liddle which presents the latest scholarly thinking about the Great War from an international perspective. 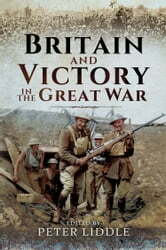 The first two volumes – Britain Goes to War and Britain and the Widening War – made this stimulating new writing accessible to a broad readership and this final volume has the same aim. A group of over twenty expert contributors reconsider the military reasons for the outcome of the fighting and look at the consequences for the principal nations involved. They explore the way the war and the peace settlement shaped the twentieth century and had an enduring impact within Europe and beyond.